The second tweak affects Windows users only, and uses a feature called Off-Main-Thread Painting (OMTP) to render graphics using a different processor thread to Firefox itself, helping boost performance. 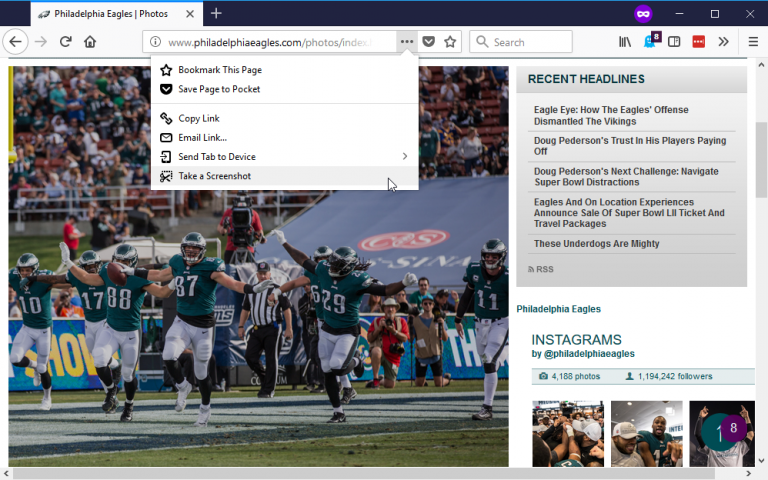 Elsewhere, the Firefox Screenshots tool now allows users to copy and paste screenshots directly to their clipboard, plus works in Private Browsing Mode. Support for automatically filling in credit-card information into forms has also been added to version 58 -- address autofill was first added in Firefox 56. A change to the way user profiles works means that those created in Firefox 58 (and future builds) will no longer work in previous versions of Firefox should users subsequently wish to roll back. Users may also spot alerts warning them of planned security changes that -- by Firefox 63 -- will see the Symantec certificate authority downgraded to non-trusted status. Firefox Quantum 58.0 also contains a fix for Linux users, so fonts installed in non-standard directories no longer appear blank. A number of security fixes have also been implemented (note that the Spectre vulnerability was patched in Firefox 57.0.4). A problem with running Firefox for Windows over Remote Desktop Connection, which sees audio playback disabled, has yet to be fixed in this release. Certain screen readers may also cause performance-related issues -- users are advised to use Firefox ESR 52.6.0, which will be updated to version 59 as of next release when the issue should hopefully be fixed. Android users gain support for Progressive Web Apps, allowing users to pin favorite websites to their home screen and use them like regular apps. Users also gain the ability to restrict sync to non-metered (Wi-Fi) connections, full-screen bookmark management and folder support, the ability to play back FLAC audio files and support for changing the status bar color in themes. Firefox Quantum 58.0 is available now as a free, open-source download for supported versions of Windows, Mac and Linux. Also available is Firefox for Android 58.0.